Is football safe for brains? Dr. Johnson is Assistant Professor of Philosophy & Bioethics in the Department of Humanities at Michigan Technological University. Her work in neuroethics focuses on disorders of consciousness and sport-related neurotrauma. 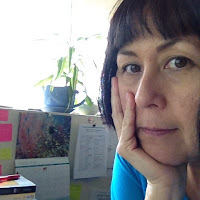 She has published several articles on concussions in youth football and hockey, as well as on the ethics of return-to-play protocols in youth and professional football. 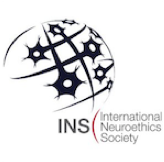 This post is the first of several that will recap and offer perspectives on the conversations and debates that took place at the recent 2015 International Neuroethics Society meeting. At the International Neuroethics Society annual meeting in Chicago this month, Nita Farahany and a panel from the Football Players Health Study at Harvard University (FHPS) headlined the public talk “Is professional football safe? Can it be made safer?” The panel declined to provide direct answers to these important questions, but the short answers are “No,” and “Not by much,” respectively. In recent years, there has been much public concern about the impact of football and other neurotraumatic sports on the brains of athletes. The neuroethics community has been somewhat slow in picking up sport-related concussion and Chronic Traumatic Encephalopathy (CTE) as topics of neuroethical concern. Public and media concern have been fueled by reports stating that the brains of deceased athletes show evidence of the distinctive tauopathy of CTE, attributed by researchers like Bennet Omalu (who described the first case in a retired football player in 2005) and Ann C. McKee (Boston University) to brain trauma sustained while playing sports. To date, there have been approximately 150 documented cases of CTE, and an exceptionally high number of the brains examined by Omalu, McKee, and colleagues have been positive for the characteristic tau depositions. Of course, there is selection bias in neuropathological case studies, since few retired athletes donate their brains to research after death. Neuroscientist Alvaro Pascual-Leone of the FPHS was openly dismissive of the existing CTE research during his brief discussion of it, criticizing the work as woefully underpowered. The existing science is worth little, Pascal-Leone told the audience, implying that the current alarm about the neurological effects of football-related brain trauma is premature, and probably overblown. The speakers commented that there are some 15,000 retired, living NFL players—a small, elite group—and the FPHS is attempting to recruit 10,000 of them for its studies. Funded by the National Football League’s Players’ Union, the FPHS proposes to tackle whole lifespan player health through population studies to assess the scope of health problems experienced by retired players, pilot studies to develop interventions, and a law and ethics component that outlines ethical principles important to considerations of player health and is sensitive to the unique conflicts of interest in professional sports. 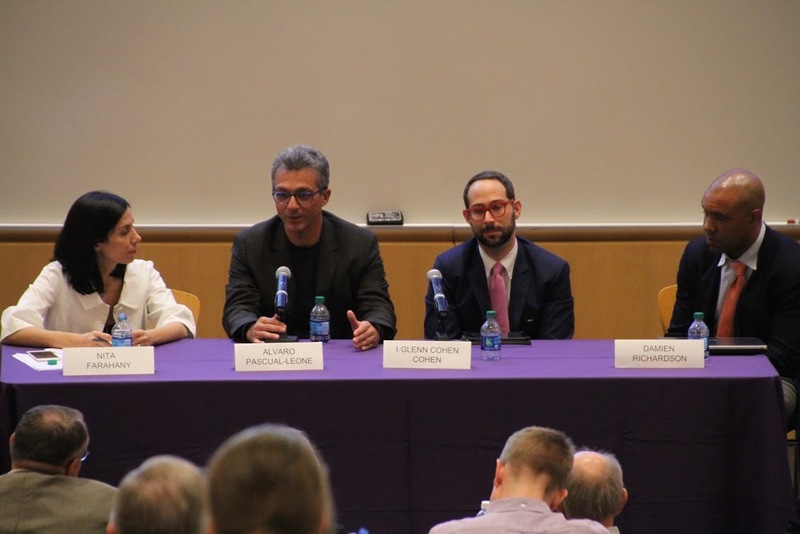 Only some of the work being done by the FPHS addresses brain trauma and its effects on athlete health—that part of their work was, of course, of most interest to the neuroethicists assembled for the meeting, but it received scant attention from the panel. Judging by the questions from the audience, they mostly had brain trauma on their minds as well. Moderator Nita Farahany and panel members Alvaro Pascual-Leone, I. Glenn Cohen, and Damien Richardson (pictured from left to right). Concussion and neurotrauma in professional football are the subjects of much neuroscientific activity, but the bigger problem, briefly alluded to by law professor I. Glenn Cohen, is not what happens to adult, professional athletes, but to the large number of junior and amateur players. While there are millions of high school football players in the United States, only several thousands of these players continue to play at the college level, and an even smaller fraction go on to play in the professional ranks. This fall, seven US high football players have already died, most of them due to head trauma-related injuries. The majority of reported concussions in the US occur in high school football players, while the impact of all that head trauma remains largely unknown and understudied. Damien Richardson, a former NFL player, and now a doctor and advisor to the FPHS, discussed his own long path to the pros while sitting on the panel, beginning with Pop Warner football when he was a kid, through high school and college ball. When asked if he thought pro football was safe, he demurred, but explained that knowing what he knows now, he would still play, but would play differently than he did. Richardson emphasized the need for change in professional football, change that would trickle down to influence the next generation of players coming up through the ranks. That model of top-down change has been endorsed by the NFL as well, but there is already evidence of bottom-up change, with greater attention to and concern about safety leading to fewer kids playing football, and opting for other sports instead. For many young athletes and their parents, there’s no longer any question about the safety of football.